Be our guest Feast - Buy 1 FREE 1 RED Hot Meal Be our guest Feast. 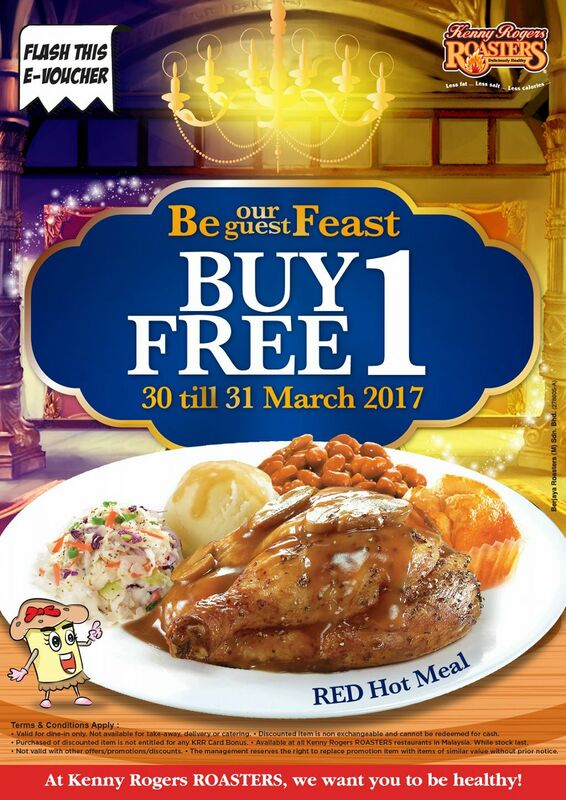 Flash e-Voucher to enjoy Buy 1 FREE 1 RED Hot Meal! Flash e-Voucher on Facebook KRR Fanpage to enjoy this offer. Valid for dine-in only. Not available for take-away, delivery or catering. Purchased of discounted item is not entitled for any KRR Card Bonus.